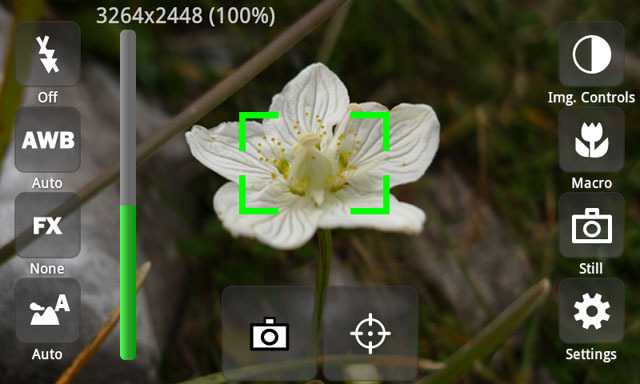 If Nokia smartphone is being used with Symbian OS then there is a special camera application readily available in OVi Store named ‘CameraPro‘. You can use CameraPro not only in touchscreen mobiles but also in general non-touchscreen mobiles. There are many facilities like ISO setting, Auto focus, White balance, Exposure, Flash, HDR Time, bit- and frame rates, etc. Photos with CameraPro app can be taken with ‘Self Timer’ and there are also useful options like ‘Anti-Shake’ and ‘Face Detection’. Download Camera Pro Symbian App for Free from MobWheel.com.